Welcome to this handy, little reference page for Coco that Lee put together. Here are some terms used in the movie along with the definitions to further enhance your enjoyment of Pixar’s 2017 Holiday release, Coco. 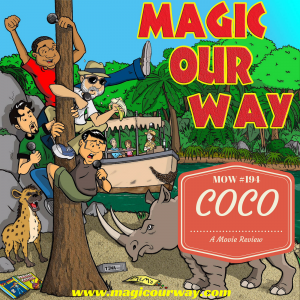 Be sure to check out our review of Coco and share your opinions with us: MOW #194.